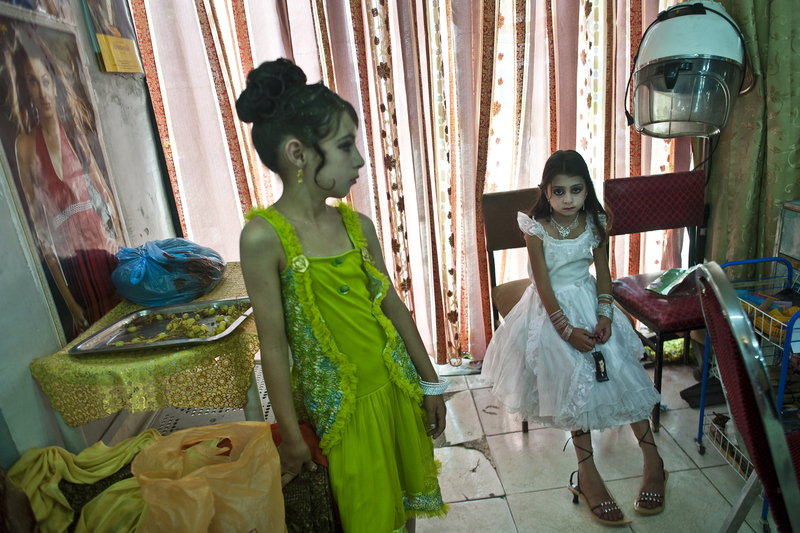 These two girls have been dressed up and made up for a relative's wedding in Kabul. Many Afghan women and girls put on makeup and spend hours at the hair salon for such an occasion. Young girls are able to show off their makeovers. But once a girl arrives at the age of puberty, she masks herself from men with a burka or hijab.